I wanted this to be so good. I really did. But then it just … wasn’t. I ended up giving it 2 stars and 1 really impassioned review because I thought it had so much potential and then it never lived up to it. I’ll be honest – I was hoping for an awesome review here, but that’s not what I’ve got. Seriously, I thought this book was going to be AMAZING. It had such a dark premise, such an interesting wealth of ideas … I loved the concept. I still love the concept. And I love the characters and the world and Kendare writes wonderfully. The problem is the plot, and how mangled it got throughout the story. Sigh. Watch for more on why I was so sad! Choosing My Religion is a luminous memoir, crafted with the eye of a journalist and the art of a novelist by New York Times Magazine writer and editor Stephen J. Dubner. By turns comic and heartbreaking, it tells the story of a family torn apart by religion, sustained by faith, and reunited by truth. Thesis Thursdays is a weekly(ish) feature where I rant, love and talk about young adult books I’m reading because I’m conning my college into thinking this is all for academia! Find out more here! 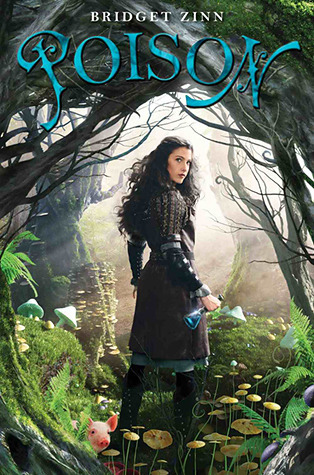 Sixteen-year-old Kyra, a highly-skilled potions master, is the only one who knows her kingdom is on the verge of destruction—which means she’s the only one who can save it. Faced with no other choice, Kyra decides to do what she does best: poison the kingdom’s future ruler, who also happens to be her former best friend. But, for the first time ever, her poisoned dart . . . misses. Now a fugitive instead of a hero, Kyra is caught in a game of hide-and-seek with the king’s army and her potioner ex-boyfriend, Hal. At least she’s not alone. She’s armed with her vital potions, a too-cute pig, and Fred, the charming adventurer she can’t stop thinking about. Kyra is determined to get herself a second chance (at murder), but will she be able to find and defeat the princess before Hal and the army find her? Kyra is not your typical murderer, and she’s certainly no damsel-in-distress—she’s the lovable and quick-witted hero of this romantic novel that has all the right ingredients to make teen girls swoon. When I realized that I was doing female assassins for my thesis, I bought this one basically without thinking about it. I’d wanted it for a while, and it seemed PERFECT. This synopsis looked A+ on par, everything I wanted, going to be the best thing ever. While I don’t regret buying the paperback … I was wrong. 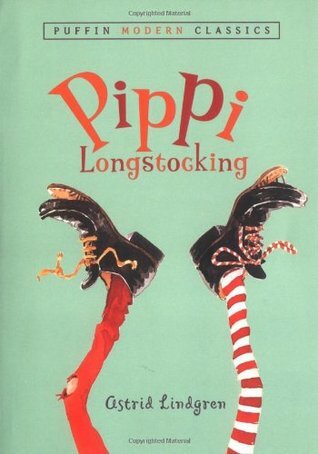 Tommy and his sister Annika have a new neighbor, and her name is Pippi Longstocking. She has crazy red pigtails, no parents to tell her what to do, a horse that lives on her porch, and a flair for the outrageous that seems to lead to one adventure after another! There is nothing more terrifying than reading a book you know your teacher adores but you instantly know from the first page you … won’t. That’s what happened to me with this book. CADDIE WOODLAWN is a real adventurer. She’d rather hunt than sew, plow than bake, and beat her brother’s dares every chance she gets. Caddie is friends with Indians, who scare most of the neighbors — neighbors, who, like her mother and sisters, don’t understand her at all. 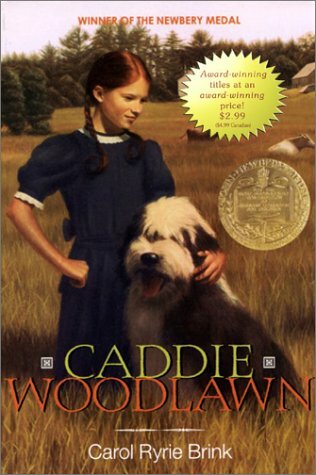 Caddie is brave, and her story is special — because it’s true, based on the life and memoires of Carol Ryrie Brink’s grandmother, the real Caddie Woodlawn. Her spirit and sense of fun have made this book a classic that readers have taken to their hearts for over fifty years. I have no trouble admitting that this book probably would have been good, if not for my higher expectations of it. I read this in a slew of books for one of my classes at Ithaca College, and the books that we had read previously had a message. A story. The main character changed in the end. With all that, I couldn’t see how Caddie had a point at all. All of you probably know how this works by now. 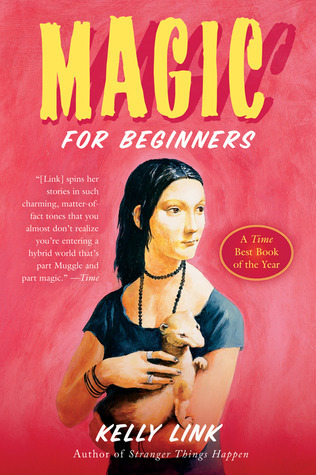 I give you my review of this book, and then you get to watch the video of my book club talking about it. It’s pretty cool. Also, this week, Taylor and I went AT each other with verbal sparring, so it’s interesting to say the least. Here we go! The nine stories in Link’s second collection are the spitting image of those in her acclaimed debut, Stranger Things Happen: effervescent blends of quirky humor and pathos that transform stock themes of genre fiction into the stuff of delicate lyrical fantasy. In “Stone Animals,” a house’s haunting takes the unusual form of hordes of rabbits that camp out nightly on the front lawn. This proves just one of several benign but inexplicable phenomena that begin to pull apart the family newly moved into the house as surely as a more sinister supernatural influence might. The title story beautifully captures the unpredictable potential of teenage lives through its account of a group of adolescent schoolfriends whose experiences subtly parallel events in a surreal TV fantasy series. Zombies serve as the focus for a young man’s anxieties about his future in “Some Zombie Contingency Plans” and offer suggestive counterpoint to the lives of two convenience store clerks who serve them in “The Hortlak.” Not only does Link find fresh perspectives from which to explore familiar premises, she also forges ingenious connections between disparate images and narrative approaches to suggest a convincing alternate logic that shapes the worlds of her highly original fantasies.